Despite clichés, Growing Up Smith is an endearing film. And it’s yet another example of how Indian themes and characters continue their steady rise in American movies. (Left) Dreaming of Travolta! Roni Akurati as Smith Bhatnagar is one of the highlights of the movie. A heartfelt immigrant story set amidst a nostalgic 1970s backdrop, feature film Growing Up Smith portrays building bridges between the land where we’re from and the place we now call home. For American audiences, it also strikes a heartfelt note as a coming-of-age story, at a time in life when kids try hard to fit in. The film follows an immigrant Indian family living in small town America; their youngest child straddles the cultural bridge between the traditional life his parents want for him and the American life he desperately wants. The film’s hero, Smith Bhatnagar, is a small, bespectacled 10-year-old boy spectacularly played by newcomer Roni Akurati. Even his name, “Smith” points to the confusion and comedy of the orthodox immigrant trying too hard to fit in. His eccentric father wanted to name his son, Smith, so that he could have a classic American name, but mistakenly believed that it was a first name instead of a popular last name. (Left) Brighton Sharbino as Amy, Smith’s love interest, is equally compelling. Smith yearns for Kentucky Fried Chicken, idolizes Saturday Night Fever and falls for his blonde, blue-eyed neighbor, Amy (Brighton Sharbino). Meanwhile his overbearing parents have already selected his future career—neurosurgery—and his Indian future wife, whose photograph is pinned to the kitchen wall alongside his elder sister’s chosen husband. Yes, the film indulges unabashedly in such clichés, but the deftness of filmmaking and the excellent production values make it work nevertheless—so that in the end it manages to charm you if not thoroughly impress you. The recreation of ‘70s small town America is quite impressive, considering it is not a film from a big banner Hollywood studio. 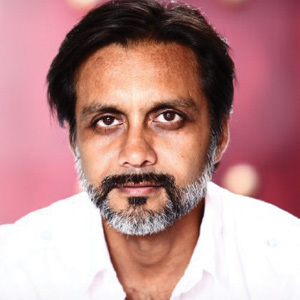 Smith’s father, the at-times burdensome Bhaaskar Bhatnagar (played by veteran actor Anjul Nigam) wants his children to live the American dream without absorbing American values. This battle between the generations makes it ripe for the film to embark into a cliché freefall and at certain moments, it does hit all the stereotypical touch points, from Smith bringing a yellow gourd to carve instead of a pumpkin to serving vegetarian skewers and paneer to meat-eating neighbors invited for a BBQ (or as Bhaaskar describes it, “metal grilling competition”). But first-time feature film director Frank Lotito’s family-friendly comedy focus and the smart screenplay (co-written by Nigam) make up for the film’s non-witty sincerity. Anjul Nigam, the film’s co-writer, lead producer, and actor, in an exclusive interview with Khabar said, “Stereotypes are based on truth, and while the film is based on certain identity, cultural truths, it may be difficult to avoid the stereotype label. But more importantly, are the characters that are portraying these stereotypes believable?” Nigam added that characters that are “three-dimensional” or “the ones that have a beginning, middle, and end and add significant integral value” discard the stereotype myth and make the storyline believable. Nigam borrowed many of his own immigrant-family, growing-up-in-America experiences for the movie’s script, including the classic Indian punishment for disobedient children who must hold their ears and squat a number of times, atoning for their sins in front of pictures of Hindu gods, not because it hurt but because it was humiliating and lesson-teaching. (Left) Butch, Amy’s father, is played superbly by Jason Lee. Fish out of the water: the Bhatnagars negotiate life in small town America of the seventies. Nigam was inspired to write the original screenplay after his own immigrant experiences and was deeply committed to see the project to completion. He took over 10 years to make the movie with many script rewrites. “This movie is a tribute to first love, childhood heroes, and growing up in small town America—the main driver to make a feel-good movie without profanity or explosions,” Nigam said. 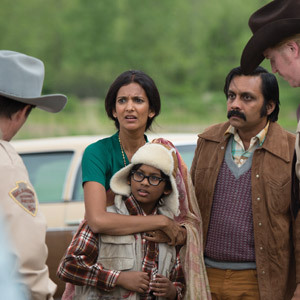 Using the narrative voice in the film, Smith’s grown-up self recounts his early years growing up in America, mirroring some of the same voices and thoughts that Nigam had heard growing up in his Connecticut home. For example, Bhaaskar’s line, “We’ll go back and live the American Dream, in India” is borrowed directly from Nigam’s father. The movie plays out themes that Nigam dealt with growing up—assimilating into Western society while preserving Indian heritage and values. Essentially, for both Indian and mainstream viewers, this movie is about merging who you are with where you come from and making it relatable so everyone can be part of the universal story. Growing Up Smith opens in theatres nationwide February 3, 2017. Neha Negandhi is a freelance journalist and radio host on AM 1690 Atlanta for talk show, Seen from the INside.